We can reserve all types of accommodation – single or double rooms within apartments or hotels of 2, 3 or 4 stars, independent apartments, camping sites, even during high season and for last minute requests. We also make reservations for friends and family members that come with you but don’t participate in a language course. RENTED ROOMS IN ONE-TWO-THREE ROOM APARTMENTS: Accomodation in double bedrooms together with other students – Kitchen – Bath. You must bring your linen. Single room on request. 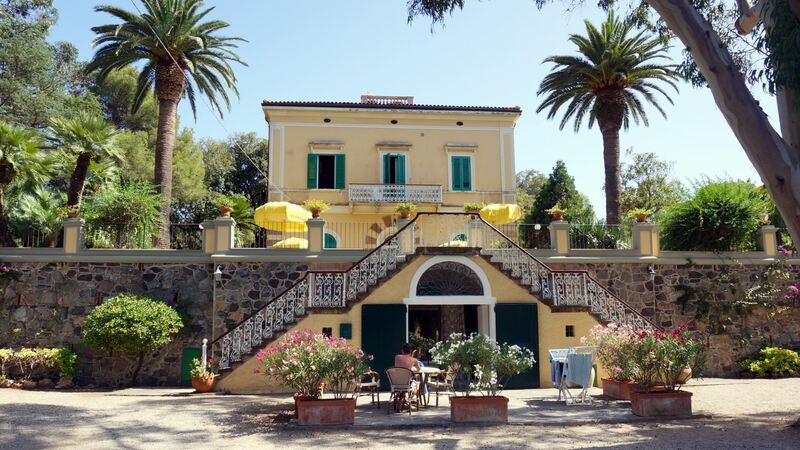 VILLA TERESA – Porto Azzurro – Headquarters of the school – Built at the end of 1800s, Villa Teresa is situated in the centre of Porto Azzurro, in the midst of an ancient green park and still maintains its original charm with period furniture in its interiors. 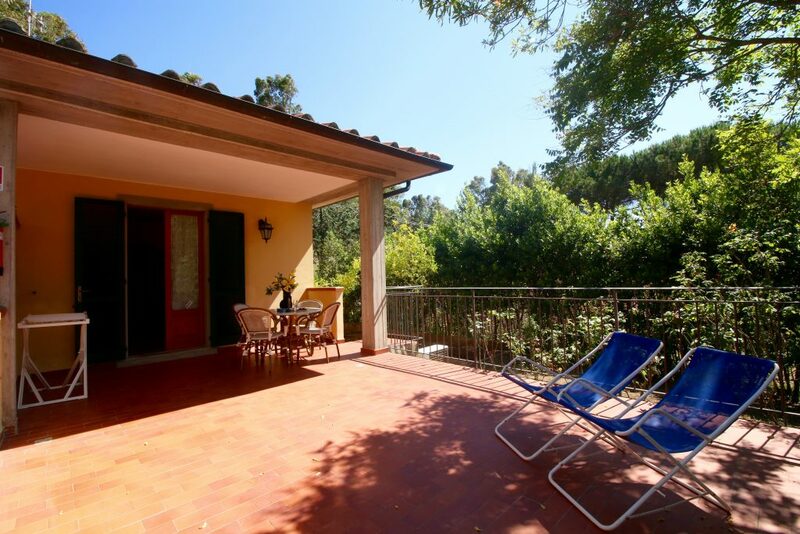 The villa has, besides the main building, newly constructed units with modern furnishings. In the main building, every apartment has an independant entrance, living room and in-built kitchen, bathrooms and all share a big terrace and garden. The new small villas surrounding the main building all have their own private space outside. 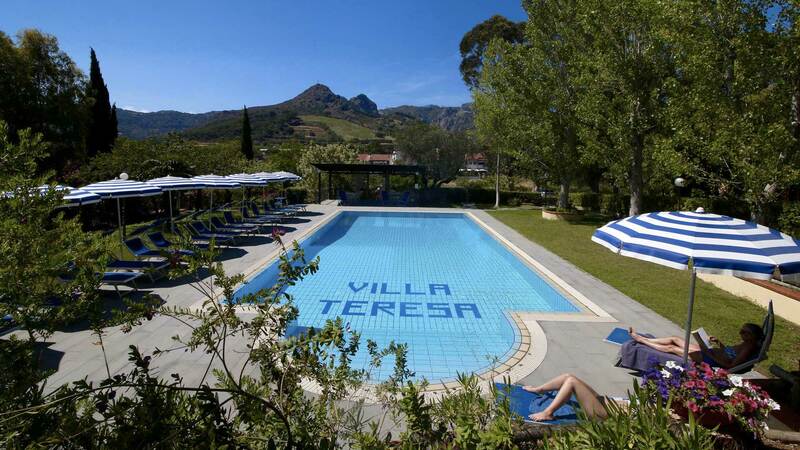 The complex is furnished with a tennis court (cement ground) and a swimming pool (7×14 mts). The nearest beach is that of Barbarossa around 500 mts, a sandy beach with facilities for surf, boat and canoe hire and Scuba school. 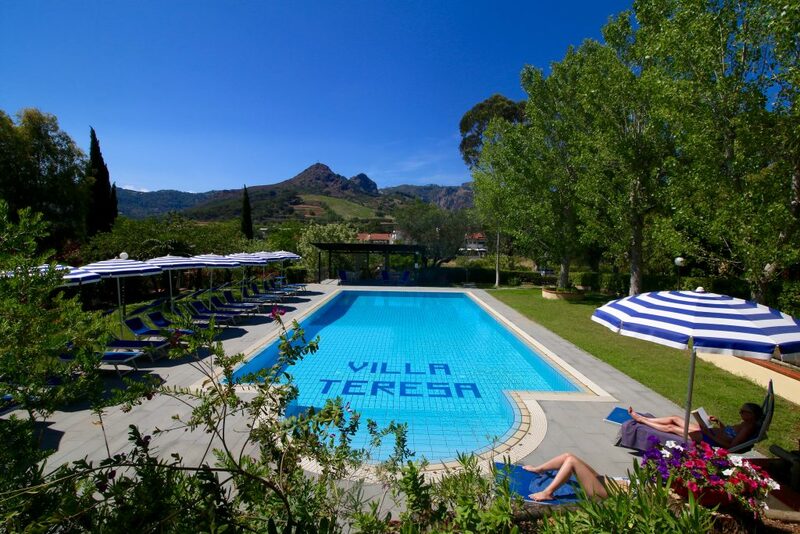 Prices range from Euro 35 – 65 per person a day depending on the season. 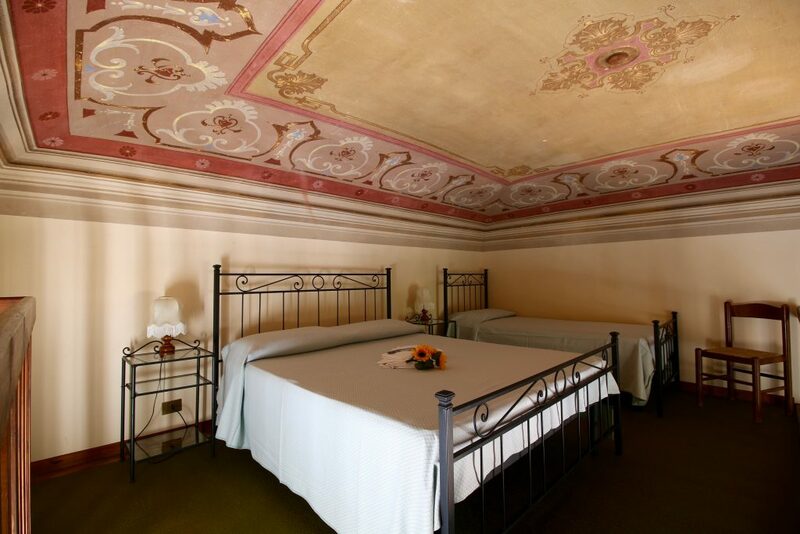 For information and detailed offers on rooms or on apartments please contact the following website: www.villateresaelba.com. Breakfast – Double bedrooms with bathroom Television. Single room and half-board on request. 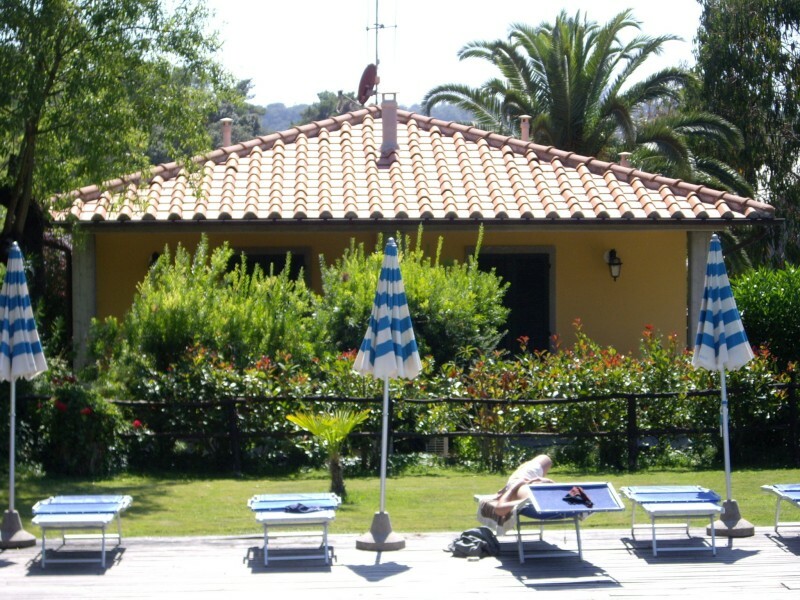 Half-board – Accomodation in double bedrooms with bathroom – Swimming-pool – Private beach – Tennis court. Single room and half-board on request. 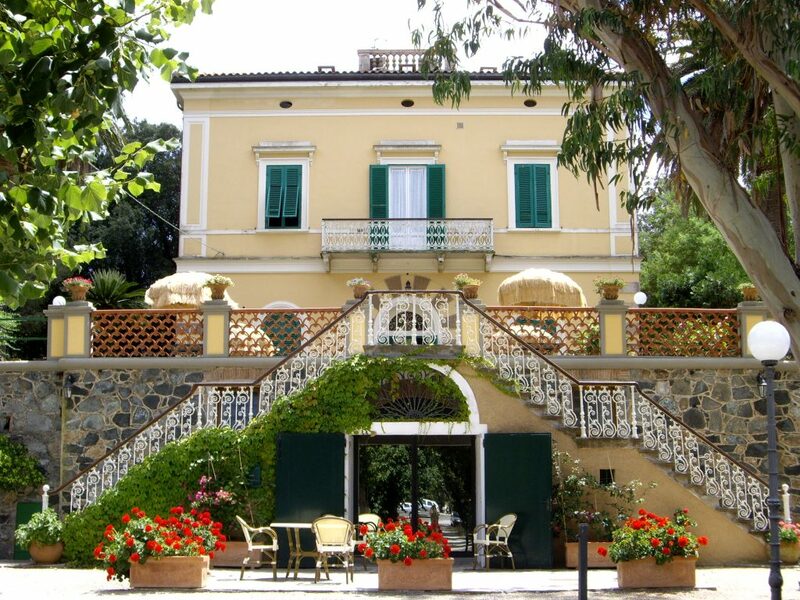 HOTEL VILLA GIULIA 3 STARS – Porto Azzurro – Distance from the school Km 4 -The Hotel Villa Giulia, immersed in a peaceful and panoramic park and not far away from the white sandy beach of Lido di Capoliveri, lies half way between the well known villages of Capoliveri and Porto Azzurro. On the favolous terrace with sea view of the restaurant is servedy a tasty, genouine italian cuisine with dishes of the local gastronomical tradition. For breakfast and lunch our guests find a rich self service buffet and in the evening dinner is served at table. 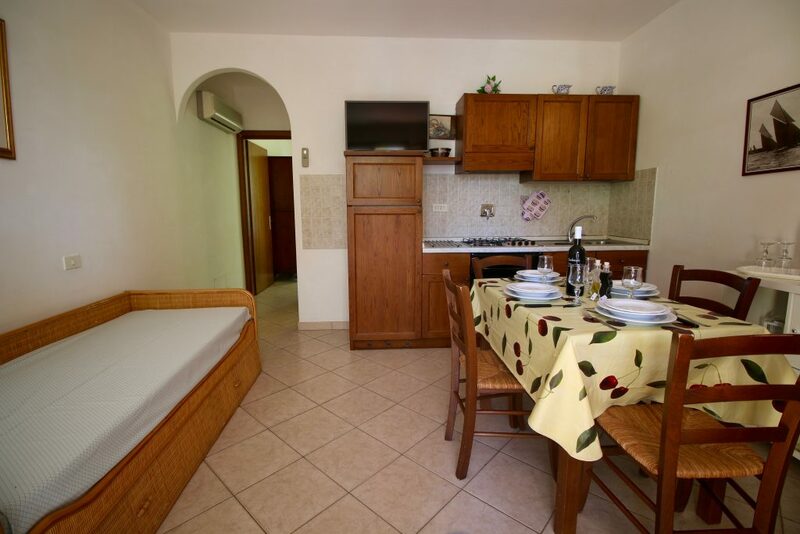 In the center of the park with its rich mediterranean vegetation, are situated four smaller buildings with 35 rooms, most of them with balcony or a little garden, all with Sat-TV, direct dial telphone and air-conditionning. In the most panoramic area are lying 8 family rooms on the groundfloor with small garden with table, chairs, umbrella and 8 family rooms on the first floor with equipped balcony. 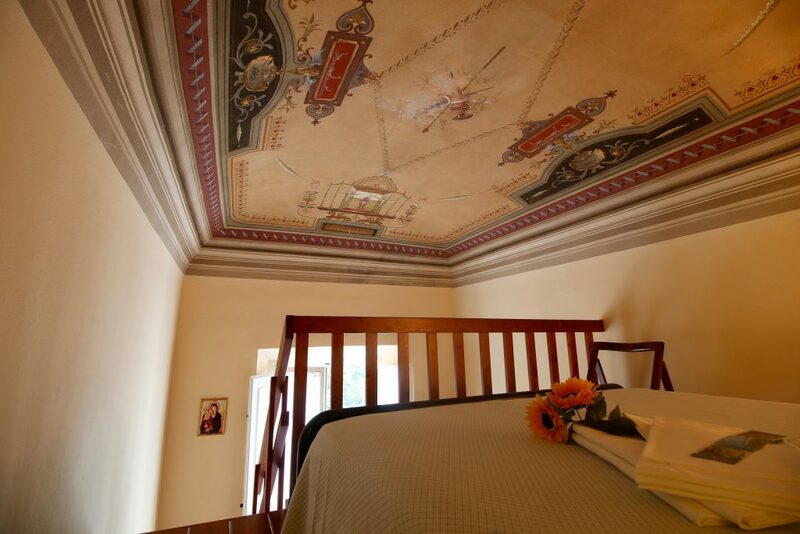 Breakfast – Double bedrooms with bathroom Television. Air conditioning. Single room and half-board on request. HOTEL PLAZA 4 STARS – Porto Azzurro – Distance from the school Km 2 – Situated on the splendid Gulf of Mola a few steps from the characteristic village of Porto Azzurro is the Plaza Hotel, with its modern and luminous architecture, which is conceived, in order to offer its guest the maximum comfort. Completely renewed and furnished in an elegant way, thanks to its particular position not only guarantees an atmosphere where to pass vacations in full relaxation. The comfortable and pleasant rooms are all furnished with sea sight, equipped with air-conditioning, minibar, safe deposit box, TV sat and hair dryer. 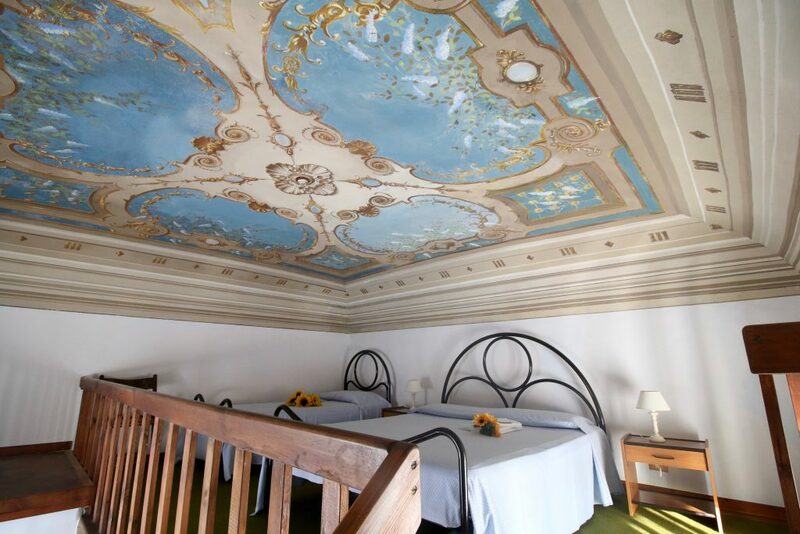 The superior rooms have sea sight terraces where one watches the sun go down or gaze into the beautiful blue sea.